Link Community Development, Uganda (LCDU) works with teachers, communities, parents, and the Ministry of Education to better understand how best to improve literacy levels and to implement the government policy, of mother-tongue instruction. Learning outcome are raised through context-specific strategies and learning innovations. As a result, teachers adapt tasks based on the needs of the students, create locally accessible learning materials, children’s writing and reading have improved, and trust between the community and school has also increased. This is the story of Patience Angela, who, a result of LCDU’s intervention, has developed high competence in reading and writing, segmenting words in Runyoro, constructing words from clusters of sounds and reading with understanding. In this communiqué, the undersigned Non-State Actors (civil society,pastoralist, research, private, farmers’ unions and other stakeholders) champion a call to action and outline recommendations on livestock policy advocacy strategies that take into consideration the unique conditions and opportunities of the livestock sector development in Tanzania. Tanzania has the third largest livestock population on the African continent after Ethiopia and Sudan and while a variety of livestock products - including livestock, meat, poultry, eggs and leather goods - are produced in Tanzania, the country continues to depend on imports to meet the growing demand. Today, more than ever, the livestock sector warrants close consideration and attention if the country is to fully realize its potential as a driver for inclusive transformational growth. The livestock sector is seen to contribute to the Tanzania Development Vision (TDV) 2025 and a recent analysis found that the sector has contributed between 7.4% to 10% of the national GDP,2 although the sector’s development budget remains small, shrinking in recent years to 10.6 billion Tsh in 2016/17.3 Livestock is a sector that is growing and transforming rapidly and the demand for animal products and bi-products is rising, driven by higher disposable incomes of the growing middle class and increasing rates of urbanization. Its potential contribution to achieving many of the national development goals represents a unique opportunity for far-reaching transformation. Ndeye Khady Faye joined TrustAfrica in May 2013 as an intern in the operations unit, she was recruited as the administrative assistant in July 2016. Prior to joining TrustAfrica, she held administrative assistant positions at Transrail and Dakar Port. She holds a bachelor degree in Logistics and Transports and is currently completing her Master’s degree in Human Resources at Cheikh Anta Diop University of Dakar. Chinedu Yves Nwagu is TrustAfrica’s Project Director for the Nigeria Anti-Corruption and Criminal Justice Fund. For over a decade now, he has worked actively on issues of justice sector reform in Nigeria. Prior to joining TrustAfrica, Chinedu worked as Programme Manager with CLEEN Foundation, Abuja, where he focused on elections, criminal justice and accountability of law enforcement agencies. He also previously worked with Access to Justice, Lagos, where he implemented programmes around judicial integrity, human rights and the rule of law. He has facilitated trainings and collaborated with government officials, security agencies, civil society organisations and development partners on these issues. Chinedu trained as a lawyer and is called to the Nigerian Bar. He also holds a Masters of Laws (LLM) in Human Rights and Democratization in Africa from University of Pretoria. Ese Emerhi is the project director for the Kiisi Trust Fund. She has spent the last 18 years working in the international development field, supporting human rights defenders and organizations in the Middle East and North Africa region to encourage civil society in pushing forward democratic initiatives that promote freedom and the respect of human rights, as well as working with youth-led organizations in the US and Nigeria advocating for greater youth inclusion in development projects, leadership and youth empowerment. Prior to joining TrustAfrica, Ese worked as the Advocacy Program Manager for PIND Foundation, developing and implementing a robust advocacy strategy of engagement for state and federal government in advancing economic development for the Niger Delta region of Nigeria. While at PIND Foundation, Ese was also instrumental in designing strategy and implementation for NDLink, an online advocacy and communications platform for development practitioners in the Niger Delta - currently ranked as one of the top 5 online platforms for development in Nigeria. Ese holds a B.A. in Political Science from The Ohio State University and has attended several professional trainings in the U.S. Illicit financial flows (IFFs) are a large and growing problem for the African continent, with upwards of $70 billion in IFFs leaving the continent annually.1 African governments, intergovernmental organizations, industry, and civil society have come to understand the severity of the problem over the past few years. The following list of actions are meant to address some of the first steps in addressing IFFs. These actions are foundational, involving measures that can either be undertaken more quickly and easily in some countries where some of the processes and commitments may already be underway or measures that lay the groundwork for later reforms. The result is an Accelerated IFF Agenda that governments can use as a place to begin their work to tackle IFFs in their own countries, leading to greater domestic resource mobilization and growth, resources which will be critical in making progress on the Sustainable Development Goals of the 2030 Agenda for Sustainable Development, and the African Union’s Agenda 2063, the Addis Tax Initiative, and the Africa Mining Vision. The Ministry of Education, Science and Technology, the Tanzania Commission for Universities and the Committee of Vice Chancellors and Principals Tanzania with the generous support of Trust Africa are jointly organizing the Higher Education Summit 2016which will be held at The Julius Nyerere International Convention Centre on 21st and 22nd November 2016. The main objective of the Summit is to develop strategies that will enable the higher education sub-sector to accelerate the production of the needed human and research outputs to support the drive towards sustainable industrialization in Tanzania Accordingly, the main theme for this Summit will be “ Enhancing the Contribution of Higher Education in the Industrialization Process of Tanzania” The Summit will bring together key stakeholders in higher education including government officials, academics, industry, development partners and other representatives of both the public and private sectors. The University of Uyo, UniUyo, and the Nnamdi Azikiwe University, UniZik, Awka, have emerged the two most outstanding universities at the Association of Vice-Chancellors of Nigerian Universities(AVCNU) awards night on Tuesday in Abuja. The awards night was part of the three-day 2016 Nigerian Higher Education Summit organised by AVCNU, Committee of Vice-Chancellors (CVC) and Trust Africa, Dakar, Senegal. UniUyo and UniZik emerged first and second overall winners, respectively, in the Research Excellence Award category, while Federal University of Technology, Minna, came third. UniUyo also bagged the Science and Technology award while UniZik won the Arts and Humanities award. 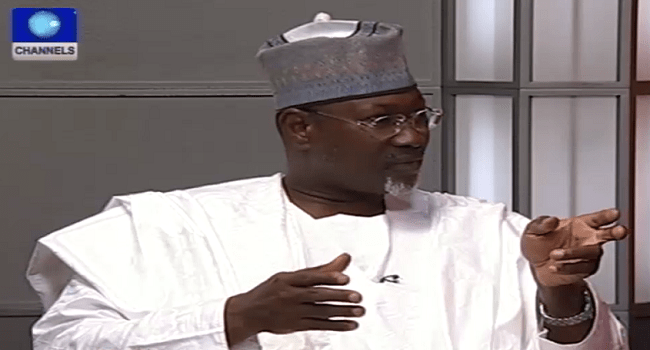 The former Chairman of the Independent National Electoral Commission and Pro-Chancellor of the Plateau State University, Professor Attahiru Jega, has identified the lack of focus of Nigerian leaders as a major setback to the education sector. Professor Jega made the observation on Monday at the ongoing 2016 Nigeria Higher Education Summit in Abuja which is aimed at building an effective platform for the revitalisation of the Nigerian education system. He believes that identifying the challenges facing the sector is a first step in the right direction in boosting the education system in Nigeria.